A garage can be cavernous and piled high of things thought not to be capable of organizing. 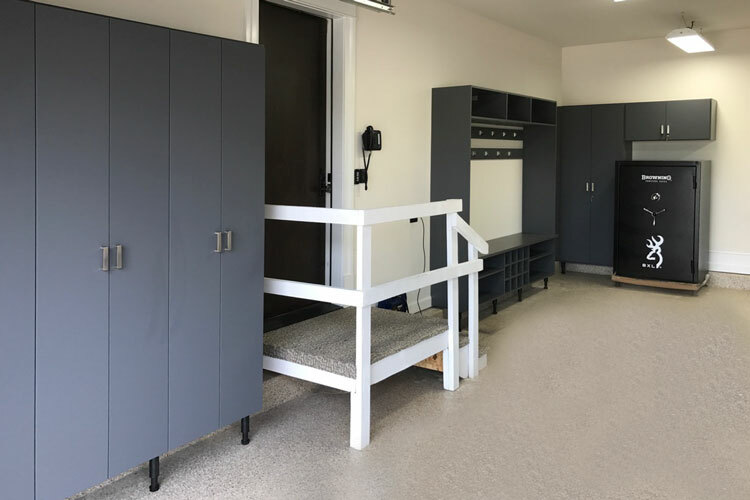 With an organization system like this one in place, your garage can turn into a sleek and clean workshop and area to keep everything safe and under control. This unit is in a Moonlight laminate with brushed chrome Metro handles, giving it an industrious look. The butcher block countertop adds a homey touch and adds a nice contrast to the dark and mysterious Moonlight cabinetry. 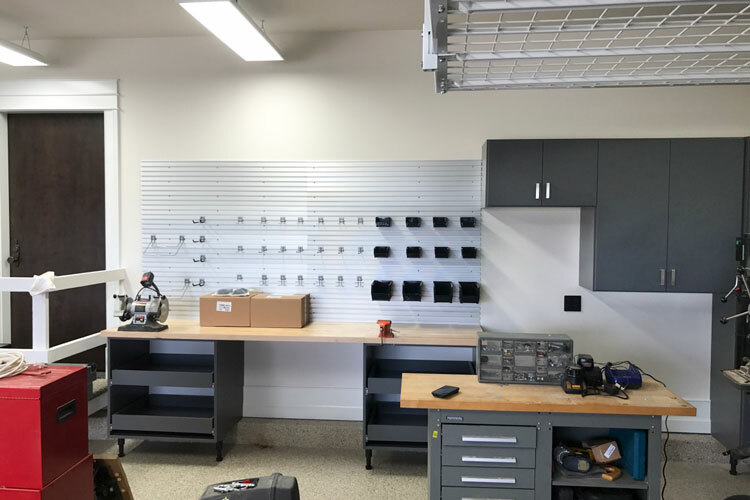 An expansive wall track is situated on the wall above the work bench for top organization of tools and accessories. 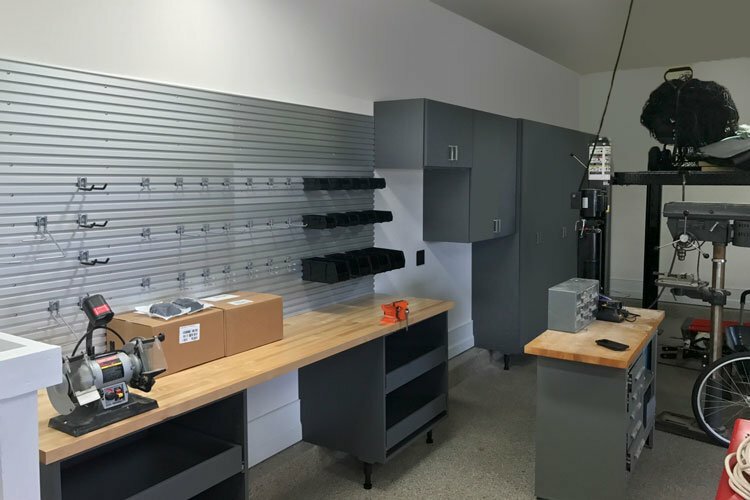 The cabinets are placed on leg levelers, perfect for avoiding damage by possible spills or flooding.